Superb organic split-shank ring in contrasting mixed metals with a blue sapphire cabochon at its centre – casual luxury. 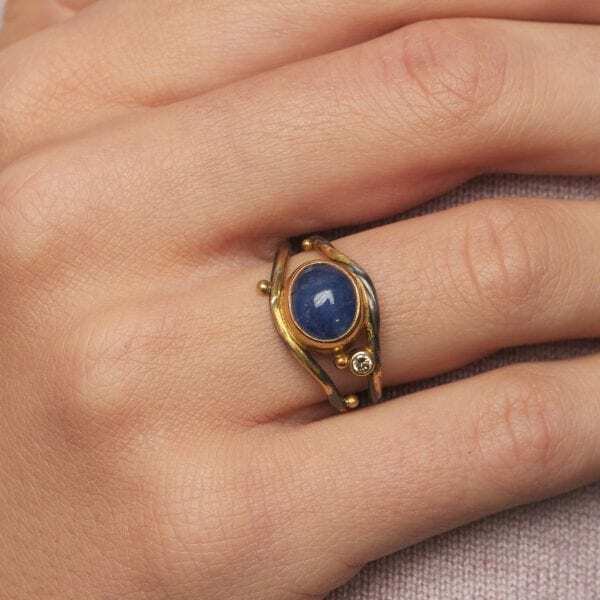 We thought you would like to know has been eyeing up our 18k 22k Yellow Gold Blue Sapphire Diamond Ring for some time now and has requested we bring it your attention. What's your question about 18k 22k Yellow Gold Blue Sapphire Diamond Ring? A truly remarkable ring made from a combination of oxidised silver, 18k, 22k and 24k yellow gold set with a cabochon cut blue sapphire and a champagne diamond. 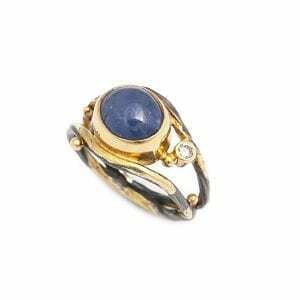 A beautiful eye catching ring. Ring Size: O 1/2. Band Width: Tapers 12mm-3mm. Setting Dimensions: 10mm x 9mm. 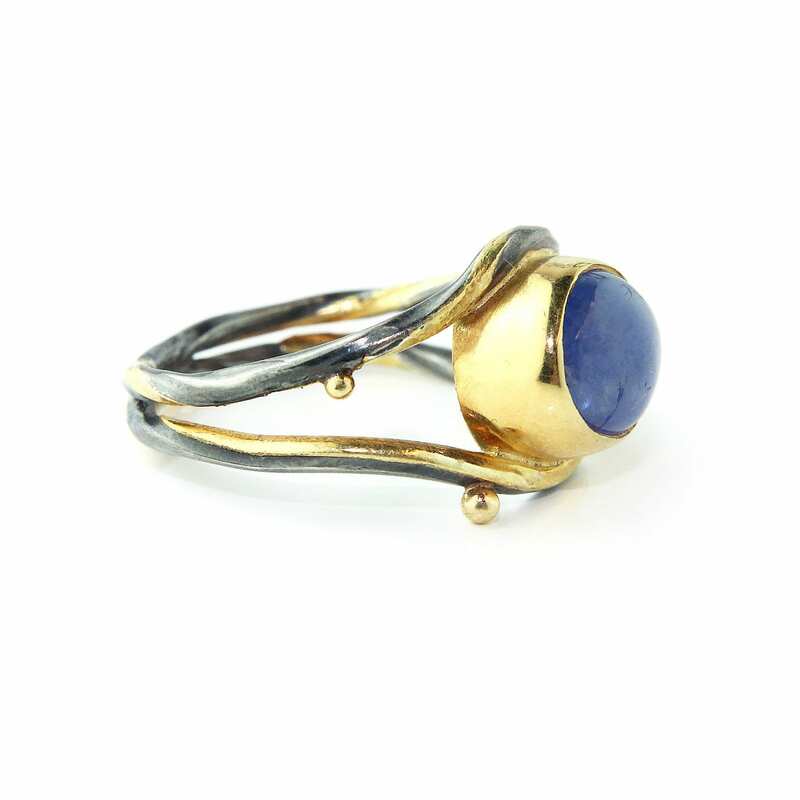 Note: Available in different ring sizes, metals and gemstones.